Sleek and simply elegant style. 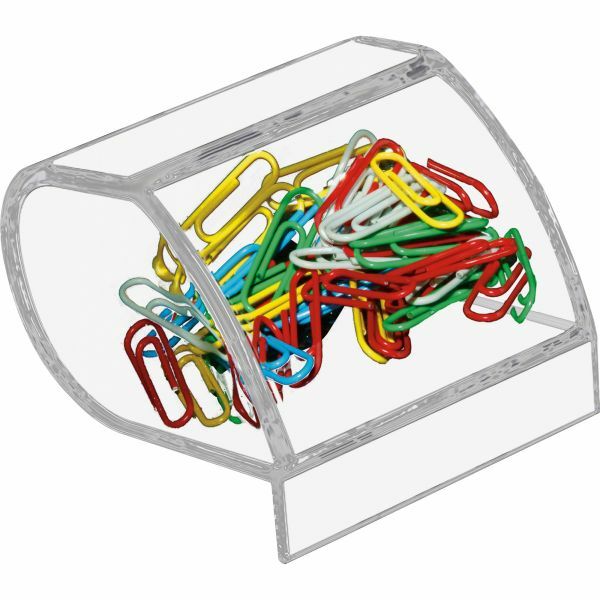 Holds clips at an accessible angle. Crafted of heavy cast polished acrylic for both style and durability. 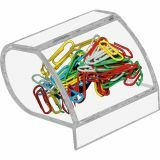 Kantek Acrylic Paperclip Holder - No digging around or fighting with a magnet, this Paper Clip Holder holds clips at an accessible angle, making them easy to get when you need them. 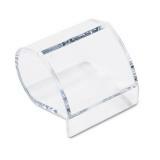 Crafted of heavy cast polished acrylic for both style and durability.